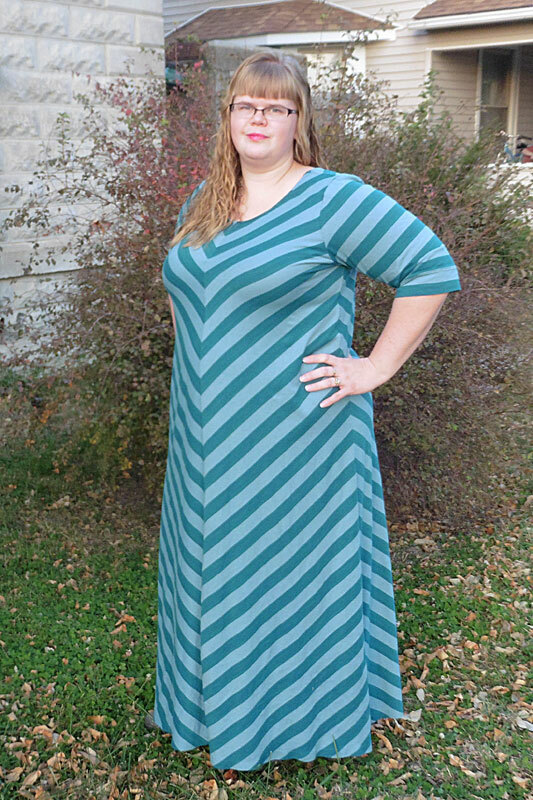 My Chevron California Cardi Sleeved Maxi – Everything Your Mama Made & More! I was looking through my fabric stash for some inspiration when my eyes fell on this teal fabric that I’d dyed several weeks ago. 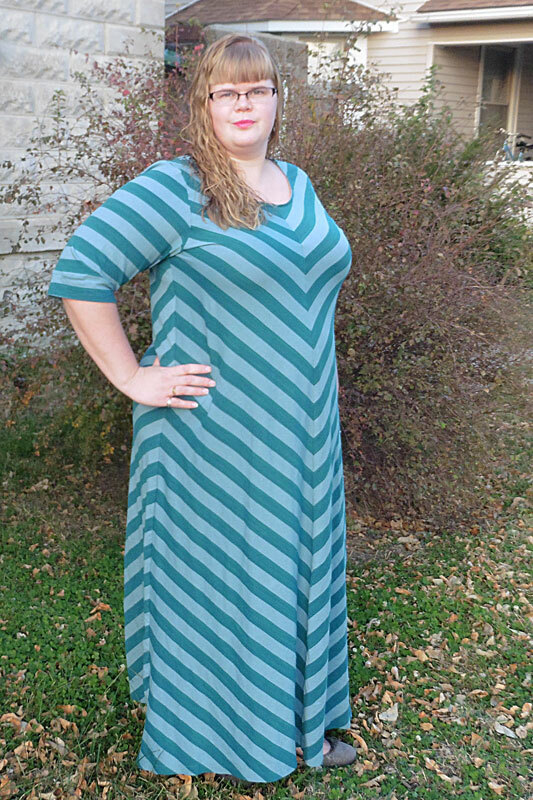 It used to be bright teal stripes on white before I put it through the dye process with one bottle of teal and one bottle of kelly green, resulting in a beautiful tone-on-tone stripe. 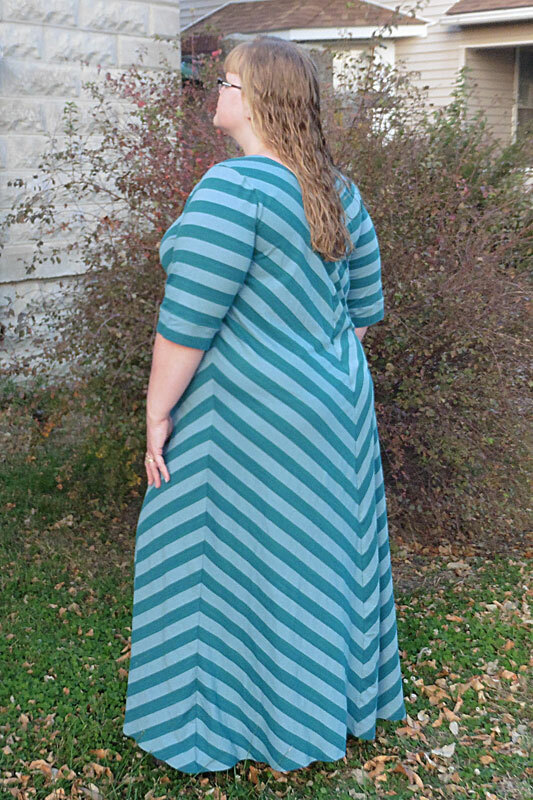 I knew instantly that they were meant to be used for the stripes-to-chevron tutorial! I adore the visual interest of the bias cut chevron. It certainly takes “boring old stripes” up a notch or two. I think it’s a pretty flattering look, too! Definitely worth the extra fabric needed. 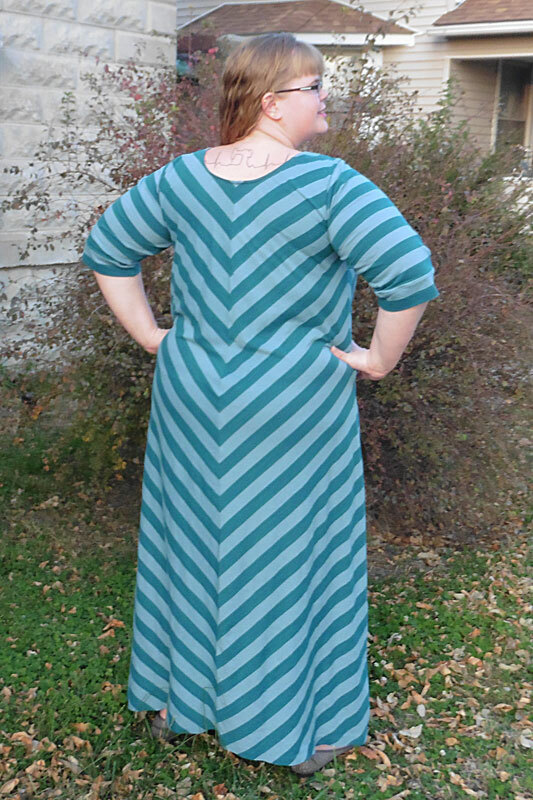 For this dress, I started with two 2-yard cuts (because it was from KnitFix) and used pretty much all of it. As you can tell from this dress and from the sleeve mash links above, elbow-length sleeves are my favorite. I cut just a few inches shorter than the 3/4 length sleeve line (and then usually add a band rather than folding a hem). They’re long enough to cover my upper arm flab, but don’t need to be pushed up to avoid getting them wet when washing hands. Plus, the length is great for almost all kinds of weather! If you try your hand at the California Cardi sleeve mash or stripes-to-chevron tutorial, I’d love to see your result! You can share a picture (or ask for help) in the EYMM Facebook group or Facebook page.